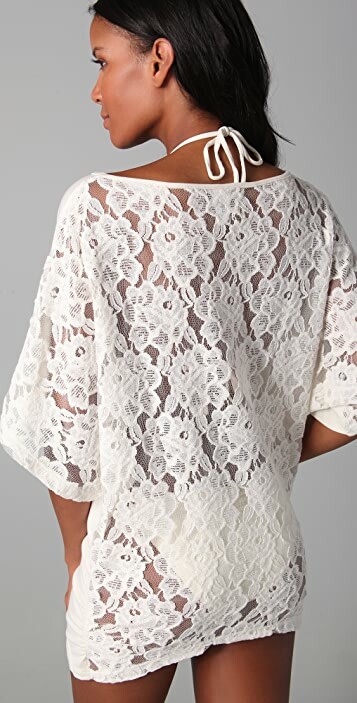 This scoop-neck jersey top features sheer lace at the back and ruching at the draped sides. Short kimono sleeves. Semi-sheer. I wear this one both as a dress and a top.. Quality is ok, nothing special but the colours are quite basic and the back lace detail makes it nice enogh and wearable as if you wear it as a top you are not revealing much..